Like many school districts throughout the state, Ventnor City Board of Education was experiencing a growth in their student population and commissioned The Musial Group to do a demographic study for the district as well as a needs assessment of the existing facility. 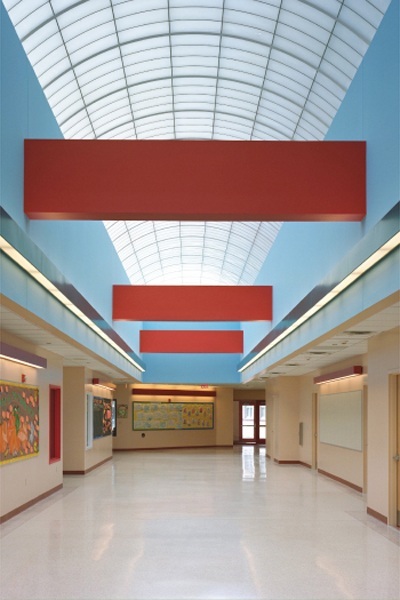 As a result of the expanding enrollment, the building was re-configured to have distinct entrances for the middle school, elementary school, as well as the early childhood center to accommodate their respective circulation patterns. 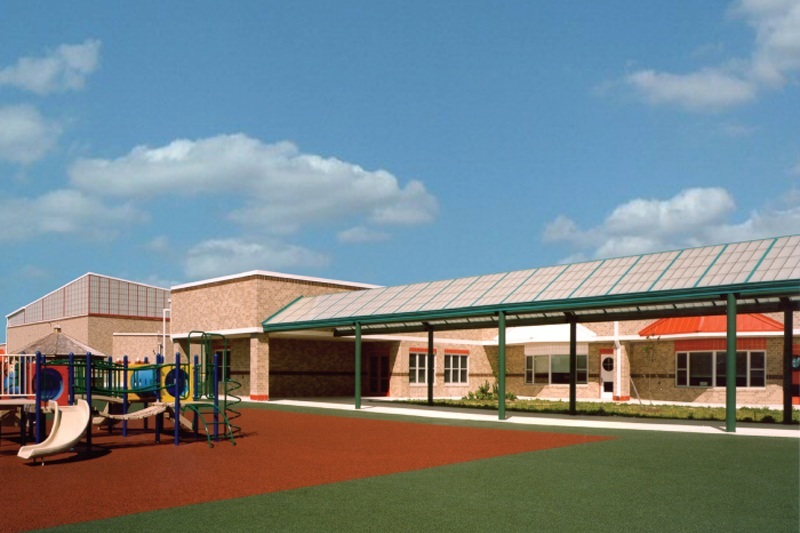 Administrative and board offices are located in close proximity to the early childhood center and visitor parking to provide surveillance and define the extents of publicly accessible space. Renovations of the existing building entailed the conversion of classrooms into a lower school reading room, computer room and child study offices. A new gym was added to lessen the burden on the existing cafetorium. Additional classrooms and small group instructional rooms were configured out of previous office space. A new clock tower and canopies were added to clearly delineate entrances and provide an identity to the anonymous facade of the existing 1960’s building.